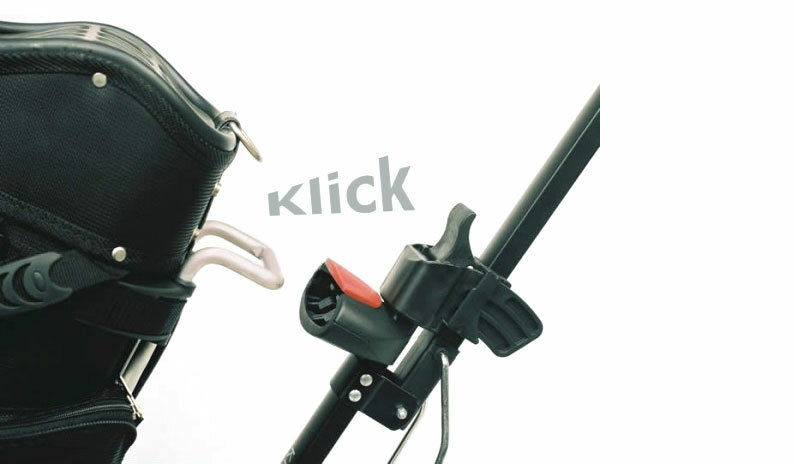 Klick-N-Go is a quick-coupling system that instantly fastens your golf bag to the trolley. 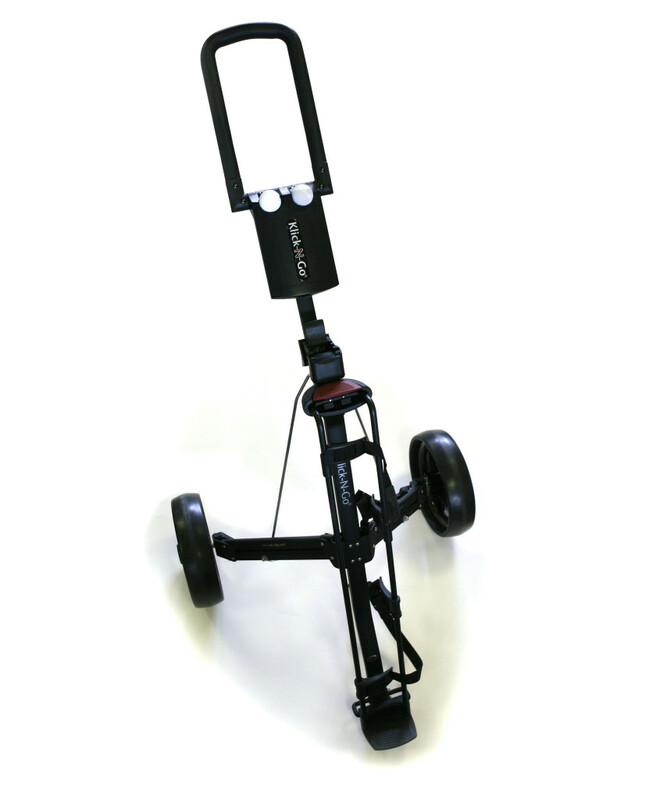 A smart yet simple frame attaches to your golf bag. The Klick-N-Go simply snaps into place and your bag is instantly fastened. The frame is suitable for any type of golf bag.